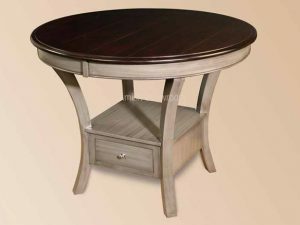 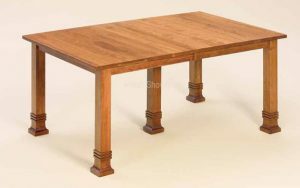 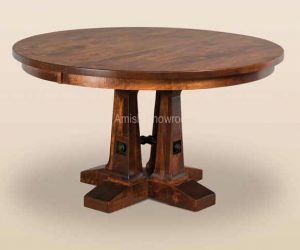 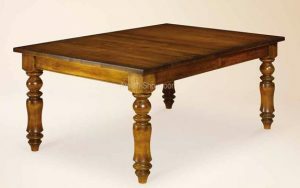 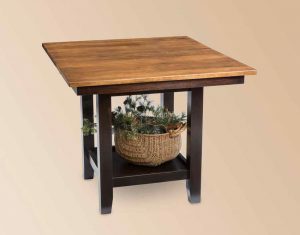 Taller gathering tables, or counter height dining tables, can be custom built to suit your needs from solid hardwoods. 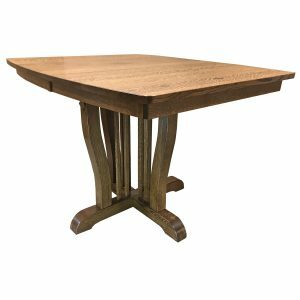 We can build a solid oak counter height dining table to match your cabinets, or stain it a custom color to compliment a new look! 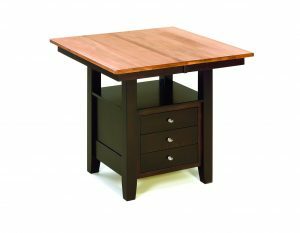 Taller gathering tables work great for older people, or someone with knee or back problems. 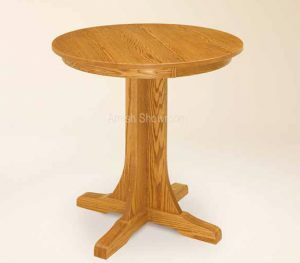 Our standard 36″ tall dining table is made for a 24″ seat barstool. 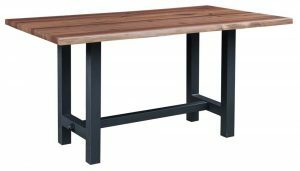 This gives 12″ of space for legs. 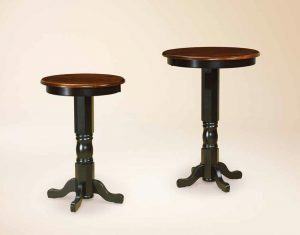 You can use a swivel or stationary barstool with a gathering table. 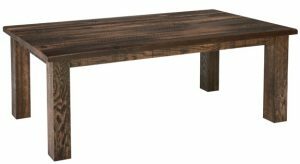 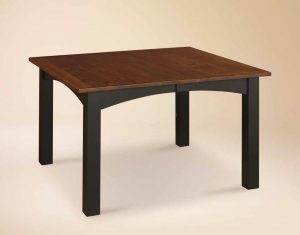 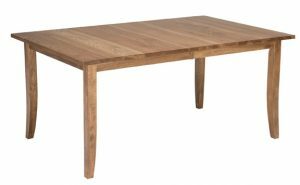 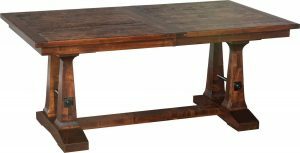 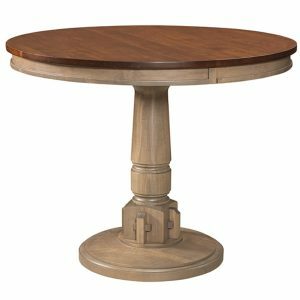 We build counter height dining tables from solid woods, in custom sizes, to suit your needs.